Good genes for great skin can come in a bottle. At least, according to the cult skincare label Sunday Riley. 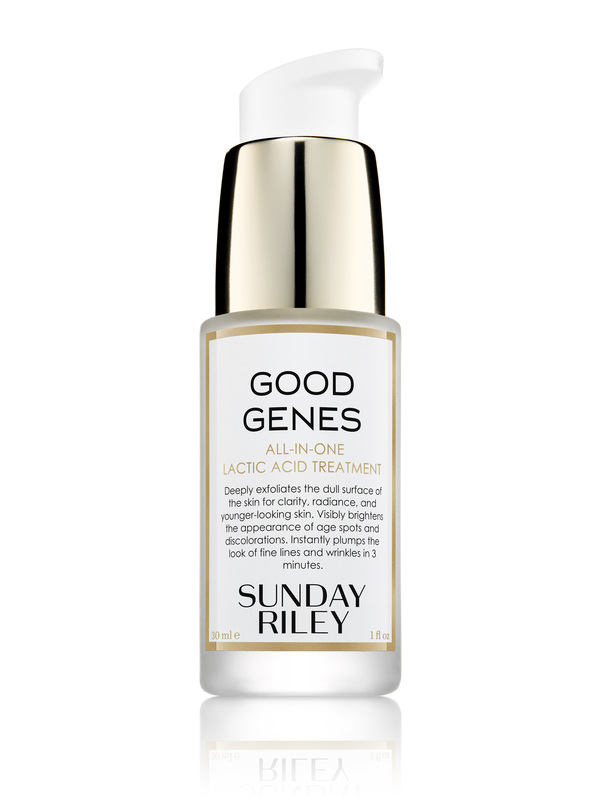 One bestseller of this US-based beauty brand is its Good Genes All-In-One Lactic Acid Treatment. The multi-award-winning formula exfoliates skin to clarify and smoothen instantly. Apparently, it is also a go-to for celebrities and models who need an instant skin-boost before shows. Apart from Good Genes, the Sunday Riley skincare line is also famous for its intensely colourful face oils that are as potent as they look. The eponymous brand was founded by Sunday Riley, a cosmetic chemist, almost a decade ago. Today, the brand is available in 12 countries and cities, as it launches in Sephora stores in Singapore, Malaysia, Thailand, Indonesia and the Philippines. At her Sephora launch party in Singapore, Sunday Riley shared her thoughts on the brand, the products, and her own skincare routine with The Beauty Gazette. I have a special relationship with each product because I formulate them. It takes me six months to a year to make each one. So by the time I get it right after hundreds of failed attempts where I try it on myself, tweak it; then try it on other people, and tweak it; I feel like I have this bond with it…even if it is not for my skin type. That being said, the product I am most reliant on, is Good Genes. It is essential. I literally flew 22 hours from Houston to Singapore yesterday. My skin was so dehydrated, all cracked and peeling, because I slept too long on the flight and didn’t drink enough water. I put Good Genes on and it was instantly dewy, glowy and healthy-looking; but not oily and heavy, which is critical. I also like to layer the CEO Brightening Serum underneath the Tidal Brightening Enzyme Water Cream when I’m on the plane to perk skin up. When I’m tired, I blend the products together in the palm of my hands and apply. My products are suitable for use in humid weather. The weather in Houston is very similar to Singapore. So I totally understand 100 per cent what it feels like to wear skincare comfortably in the heat and high humidity levels. When we first launched Good Genes a decade ago, it was not our number one seller at all. People weren’t using acids, but I always said that if you want really radiant skin, you have to use acids. They were like, what do you mean? I told them, trust me I use them everyday. If your skin has a lower tolerance of acids, you could use them once or twice a week, or as a mask. I think Good Genes is just one of those products where after people use it, they saw results and they told their friends, family, and strangers on social media about it. That was how the word on Good Genes spread; not some multi-million-dollar advertising campaign. Celebrities like to use Good Genes before award shows because it has an instant effect on their skin. Their makeup goes on smoother, and they look younger. So one thing we do backstage at fashion shows is that we put Good Genes on the models’ faces first, then foundation on top which goes on smoother and more quickly. At one Stella McCartney fashion show, the makeup artist came up to me and asked, what did you do to the models? I thought she was upset with us. Turns out that the make-up process took her half the time because their skin became so smooth with Good Genes. It exfoliates skin so that it is perfectly even. The right way to use face oils is to use them in the first step of your skincare routine. Sunday Riley oils are cold-pressed and made fresh; so it can be absorbed into the skin easily. Follow with serum and moisturiser. Do not layer oils on top of the moisturiser, that will just leave skin oily and greasy. Otherwise, you could mix in a few drops into the moisturiser to make it richer, and the application more straightforward.